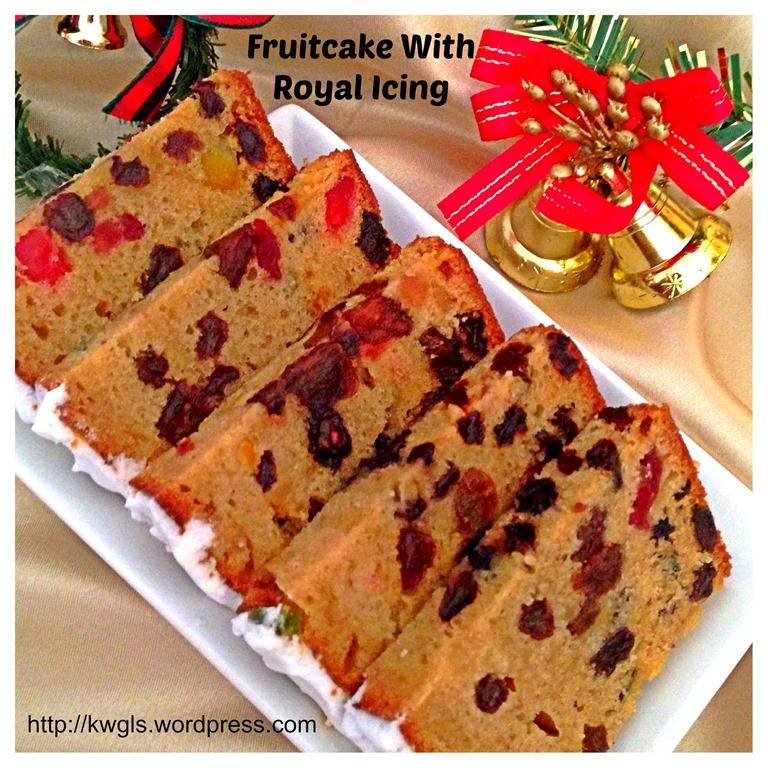 This is my second post of fruit cake for Christmas 2013. 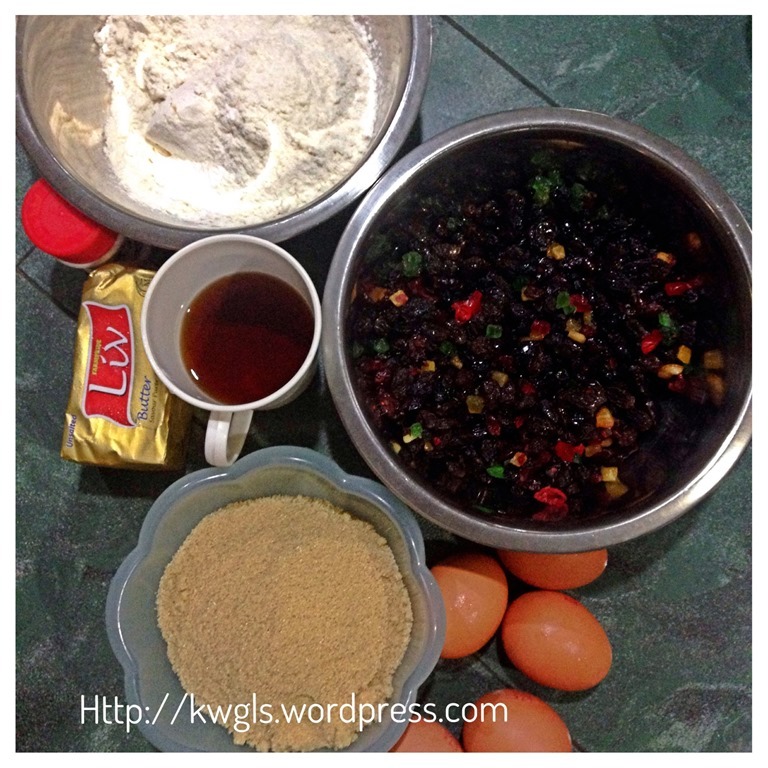 The first post is on ‘TRADITIONAL BOILED FRUIT CAKE” that I have posted on early October 2013. 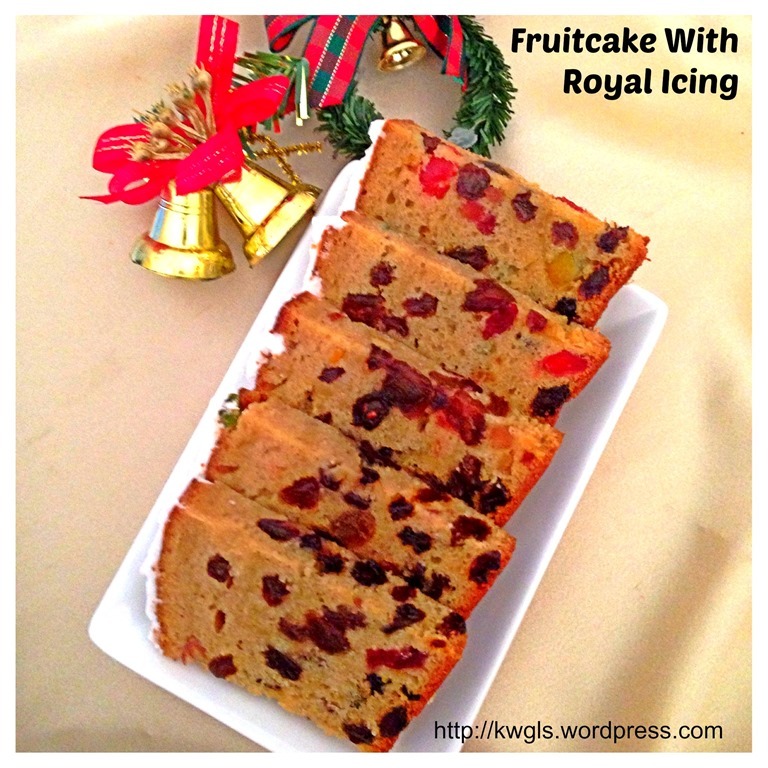 In that post, I have followed strictly the traditional method of preparing the fruit cake but this post, I will share a quick and easy recipe with no prior preparation required. Most bakers will advise to prepare fruit cakes for Christmas as early as possible. 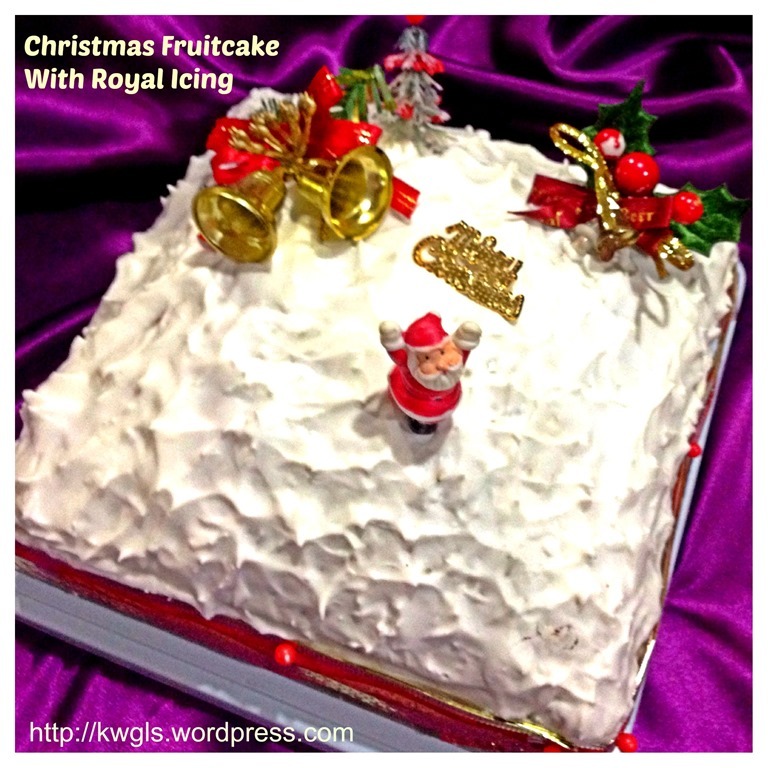 Usually, readers will be advised to soak the fruits, bake and let the cake rest for 1-2 months before actual serving during Christmas. 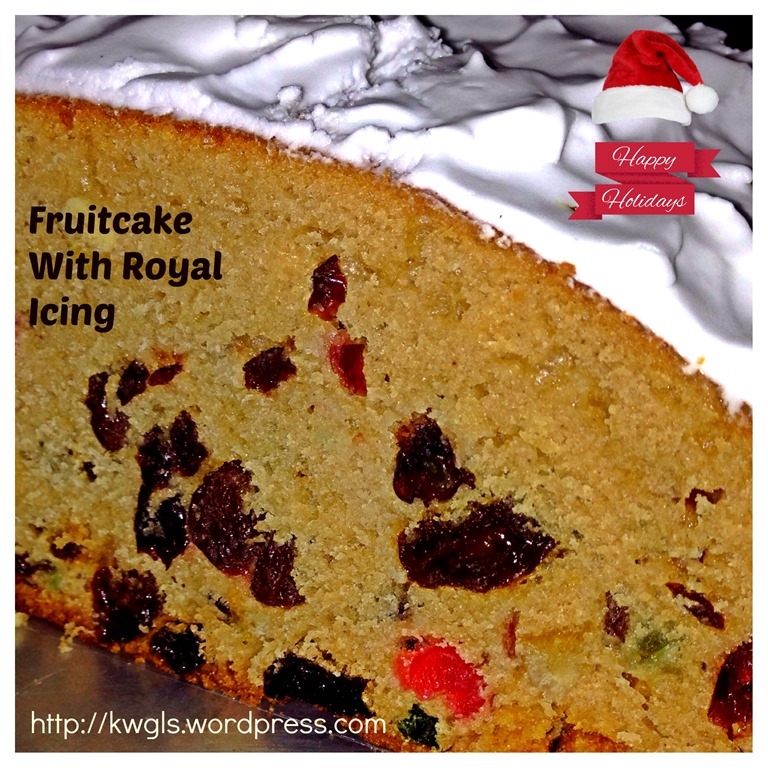 However, at times, you may not be able to fruit cake early and you can then consider this quick and easy fruit cake and the outcome is definitely acceptable. 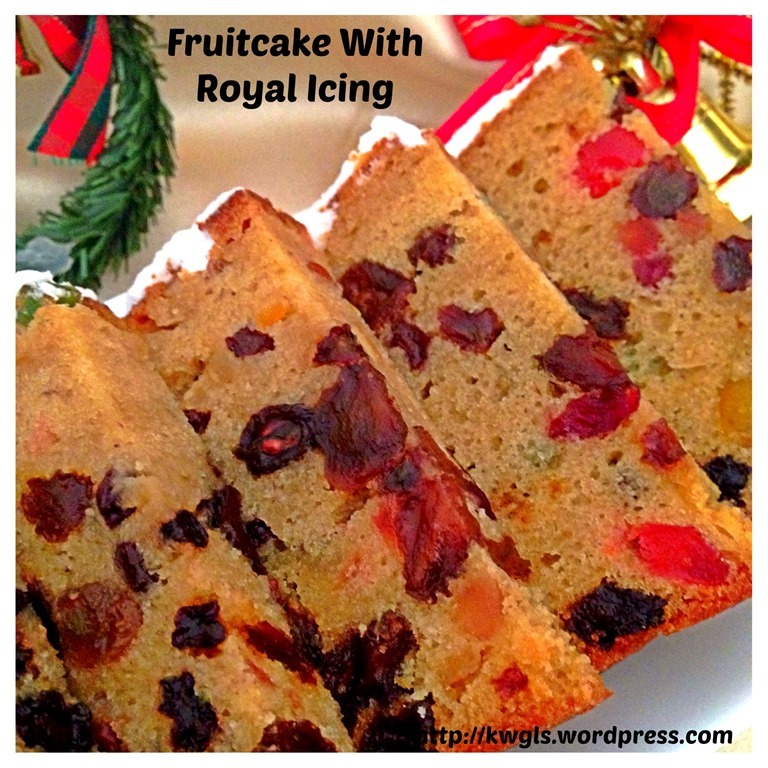 This recipe is my own recipe and without reference to any other fruit cake recipe. 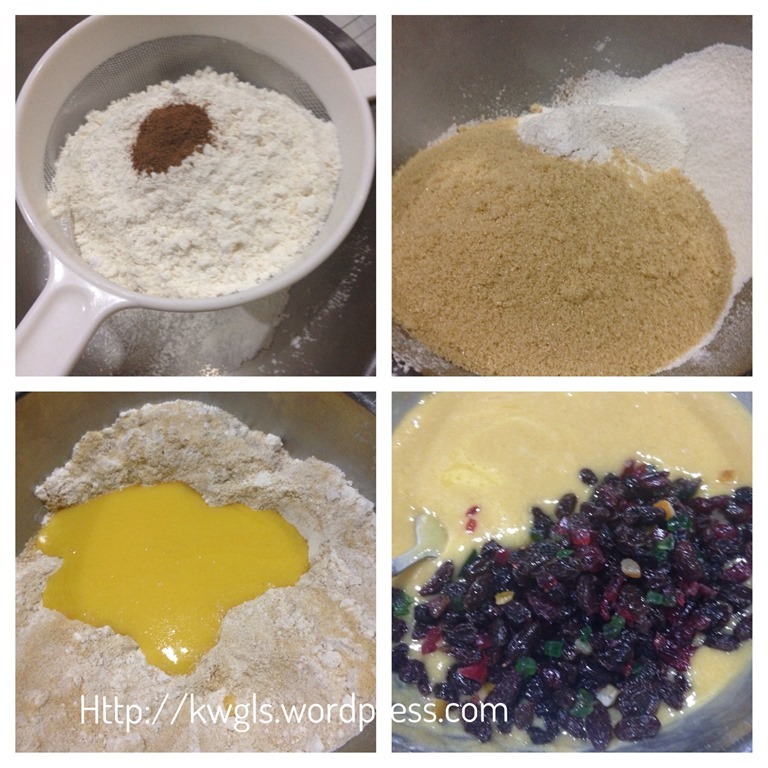 It is an easy recipe adapted from the one number baking ratio theory and using “mix and bake” method, meaning hand mixing the dry and wet ingredients. No prior preparation is necessary and extra protection (water bath) is optional. However, if you prefer, you can still soak your fruit earlier at a time convenience to you. 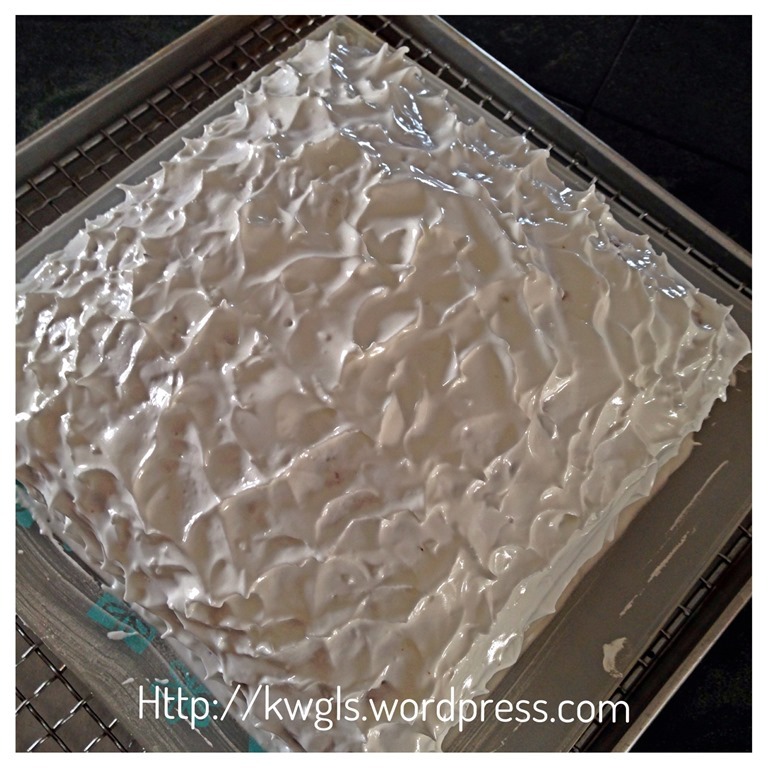 Line the baking tin with baking paper or lightly grease the baking tin. Pour the alcohol into the dried mixed fruits (you can do it after you take your measurements or you can do it as early as you can). For this illustration, I have mixed the alcohol with the fruits immediately after I took my measurements. Melt the butter in the microwave (about 1 minute). 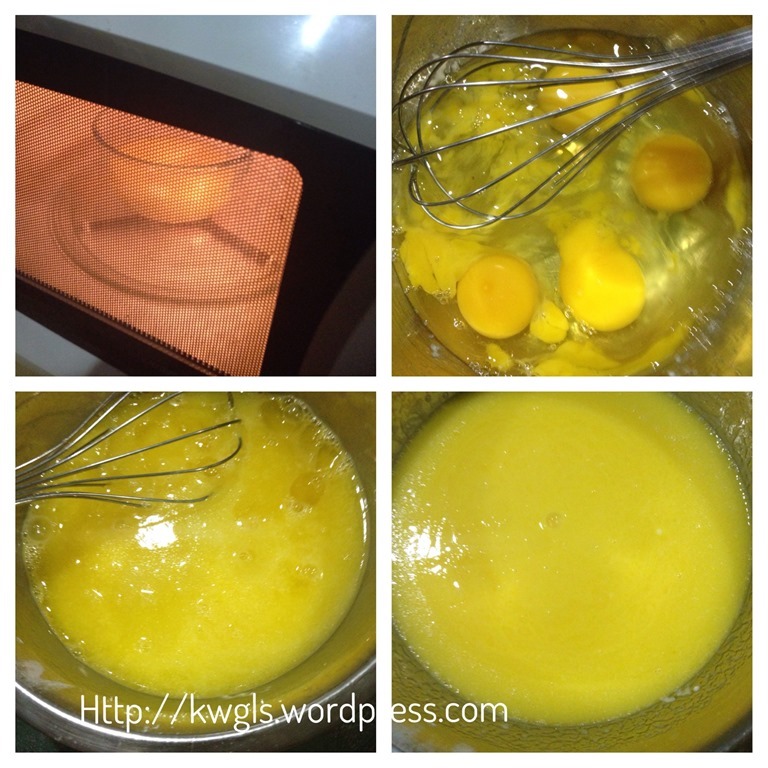 In a whisking bowl, lightly beat your eggs, add in the cooled melted butter and whisk well. In another bowl, sift your self raising flour, baking soda and mixed spice. Add in the brown sugar, mix and make a well in the centre. Pour the cooled butter and egg mixture into the well. Use a spatula to mix well. Add in the mixed fruit and ensure that it is well mixed. Transfer to the baking tin. Bake in the oven at middle rack at 180 degree Celsius for the first 20 minutes. After 20 minutes, down the oven temperature to 150 degree Celsius and continue to bake for another 45 minutes to 60 minutes. Use a skewer to insert into the cake CENTRE and ensure that it comes out clean. LET THE CAKE REST FOR AT LEAST 3-4 HOURS BEFORE actual decoration of the cake. I let this cake rest overnight before I decorated the cake. 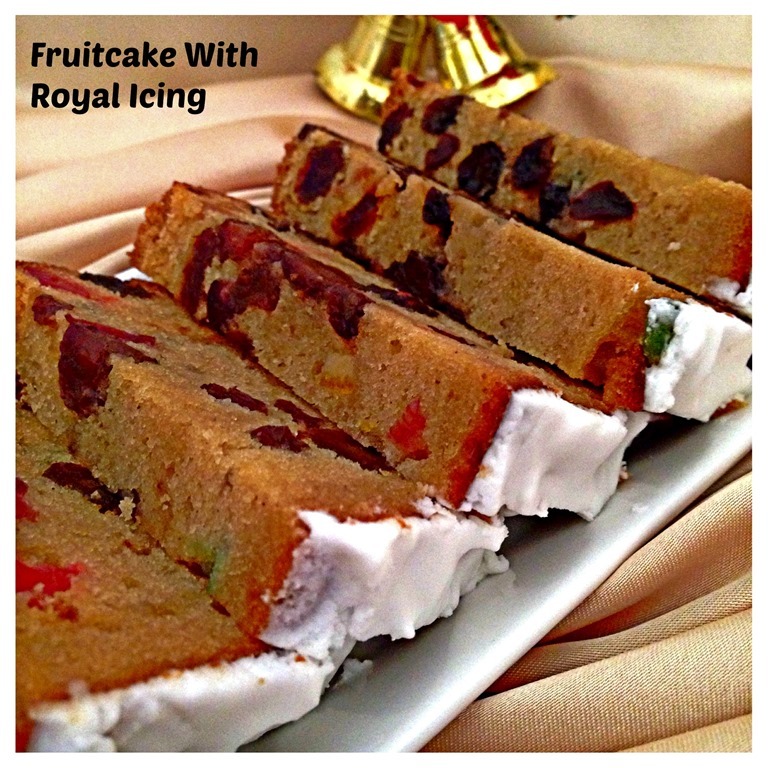 As fruit cake is a dense cake, you may have to constantly check the readiness of the cake at the last 10-15 minutes of the baking process. If your skewer comes out unclean after the prescribed baking time, don’t worry, as the baking temperature is rather low, continue your baking until the skewer inserted comes out clean. Insert the skewer at various positions particularly at the centre to counter ensure the readiness of the cake. 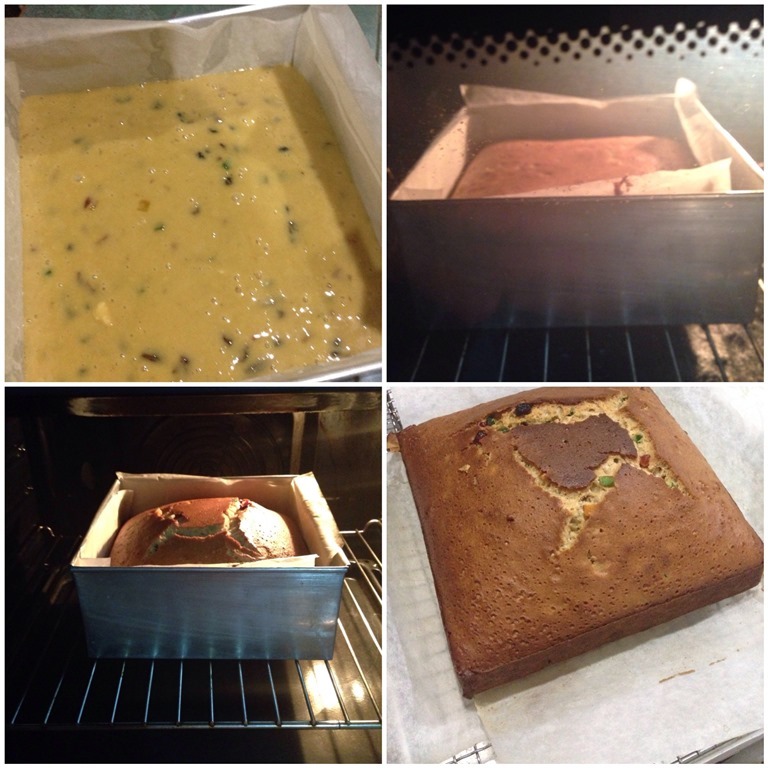 If you note that there are slight burnt on the top of the cakes, use something to cover the top of the cake. If you prefer, add about 1 cm tall of water to the baking tray place one rack lower than the baking rack. (e.g if you bake at rack No. 3 from the bottom, place a baking tray with 1 cm of water on rack No.2 from the bottom before your baking starts to conserve moisture of the cake). In this illustration, I have put some water in the baking tray but it is optional. 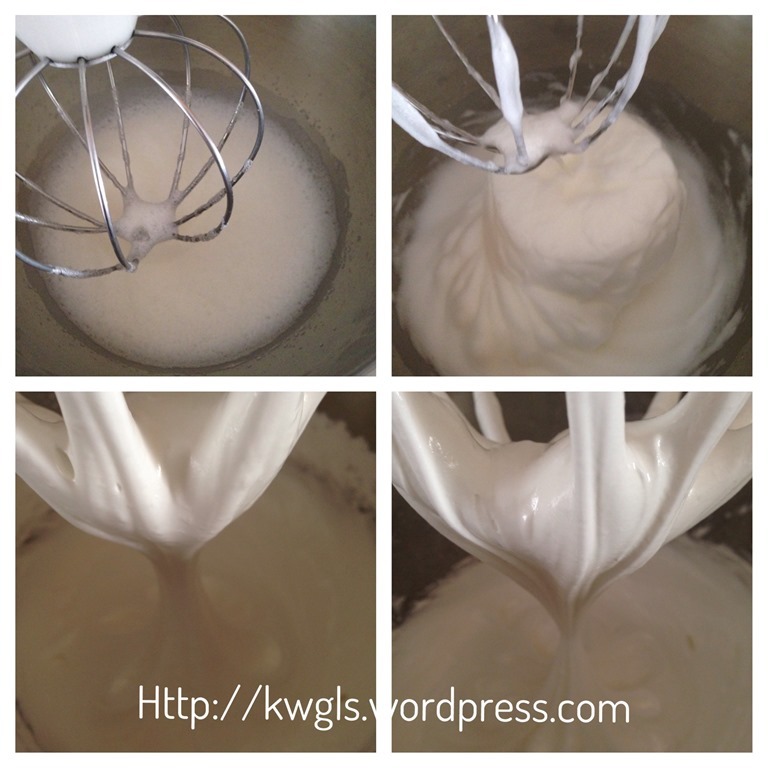 Beat the egg whites until soft peak. Gradually add in the icing sugar. Add lemon juice after all the icing sugar has been added. If the royal icing is too runny, add in extra icing sugar until you reach the firm/stiff peak or desired consistency. Cover with damp cloth or clingy wrap to prevent icing from drying out. 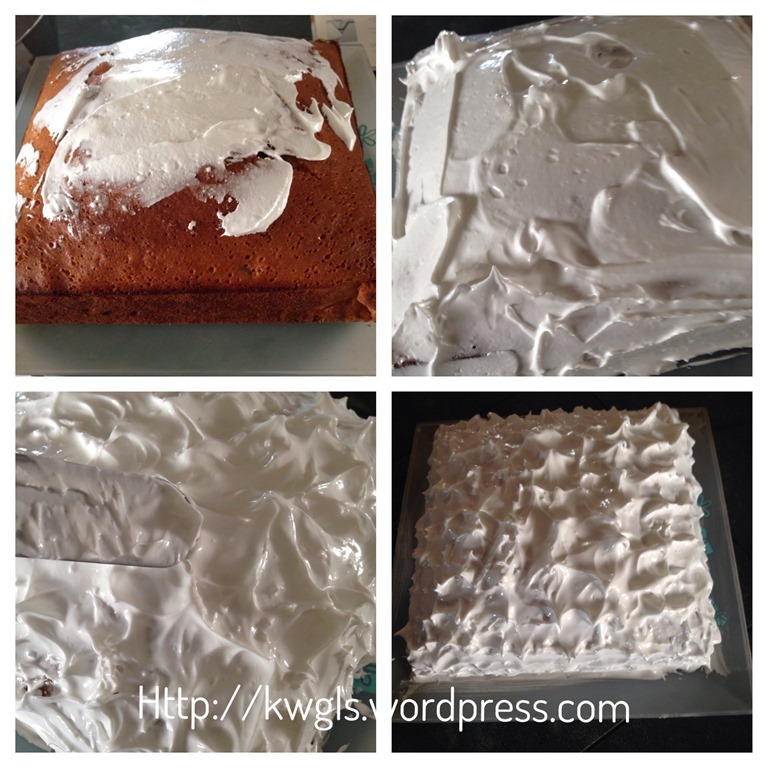 Spread the icing on the entire cake as evenly as possible. Use the flat spatula or knife to work on icing into fluffy peaks all over the cake. LEAVE CAKE FOR 2-3 HOURS to allow the icing to harden. If you preferred, you can add some colour gel to create some visual effect. After the icing have hardened, position your desired ornaments on top of the cake. Keep your cake in the refrigerator for about 2-3 weeks. 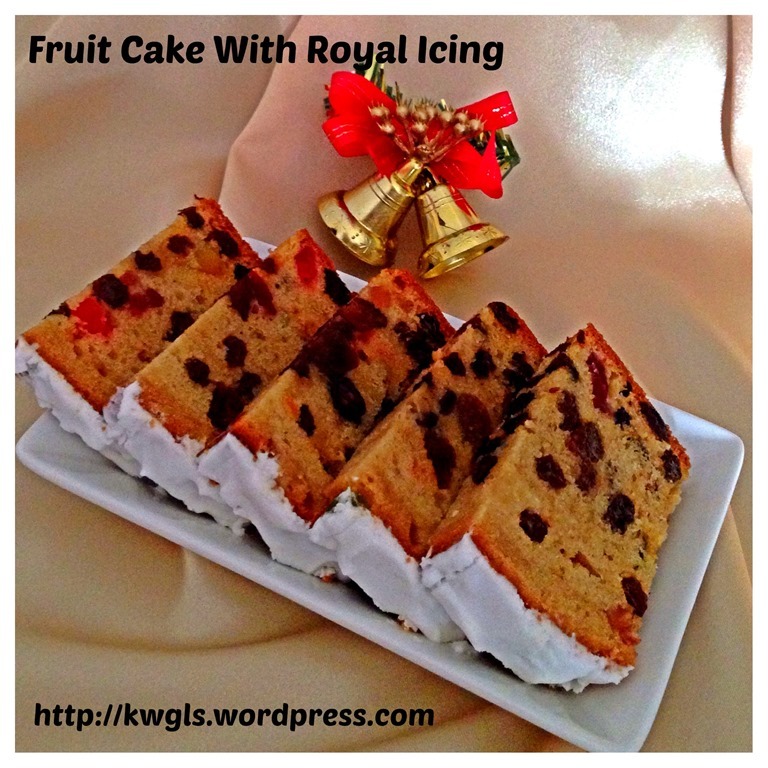 Isn’t this is a very simple fruit cake and I can assure that the taste wouldn’t not be compromised much at all. 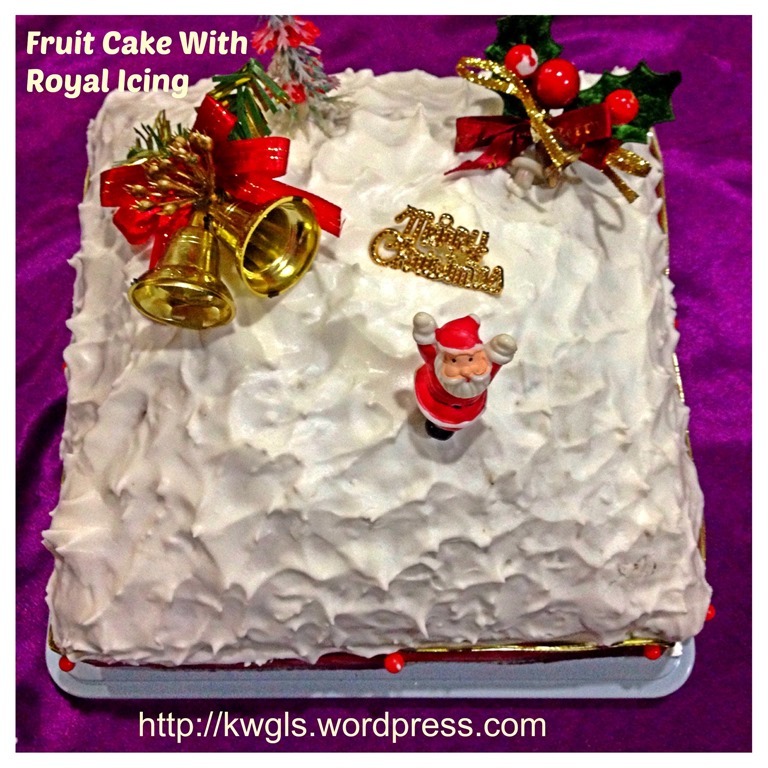 Putting some royal icing make it have a traditional or noble look and transforming this simple cake into an elegant occasion cake.. Hope you like the post today. Cheers and have a nice day. 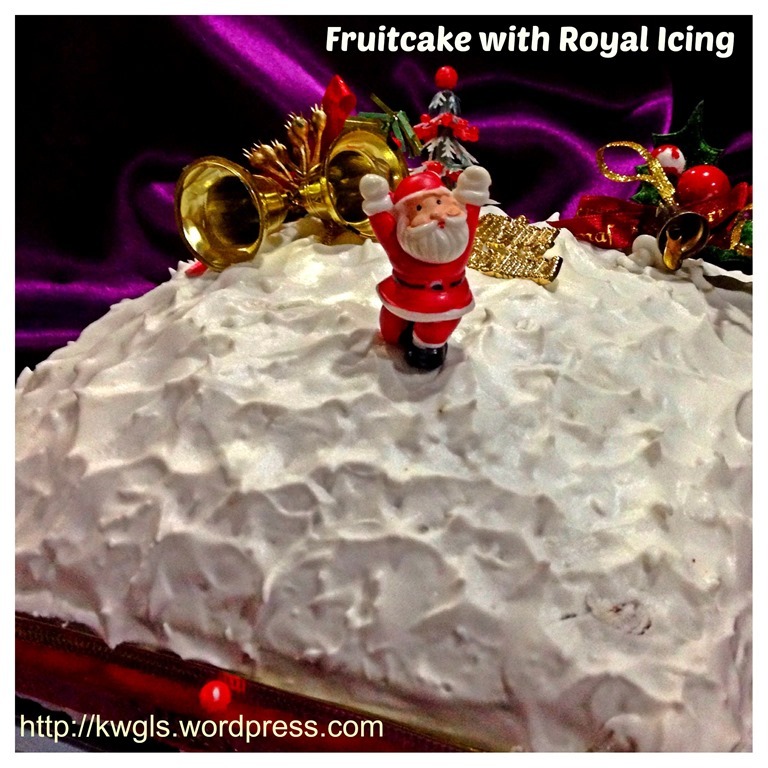 This entry was posted in Cakes and cookies, Christmas 2013, Food Preparation Series and tagged 8, christmas 2013, Christmas Fruit Cake, Christmas Fruit Cake With Royal Icing, Christmas fruitcake, fruitcake, GUAI SHU SHU, Guaishushu, postaday, Thanksgiving 2013. Bookmark the permalink. 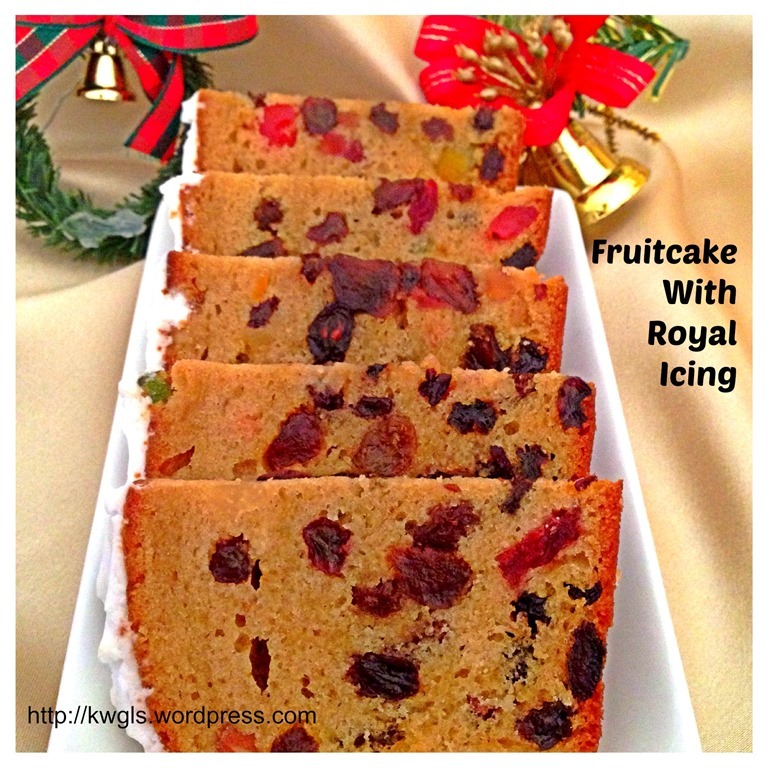 I’ve never had fruit cake but this sure looks tempting! 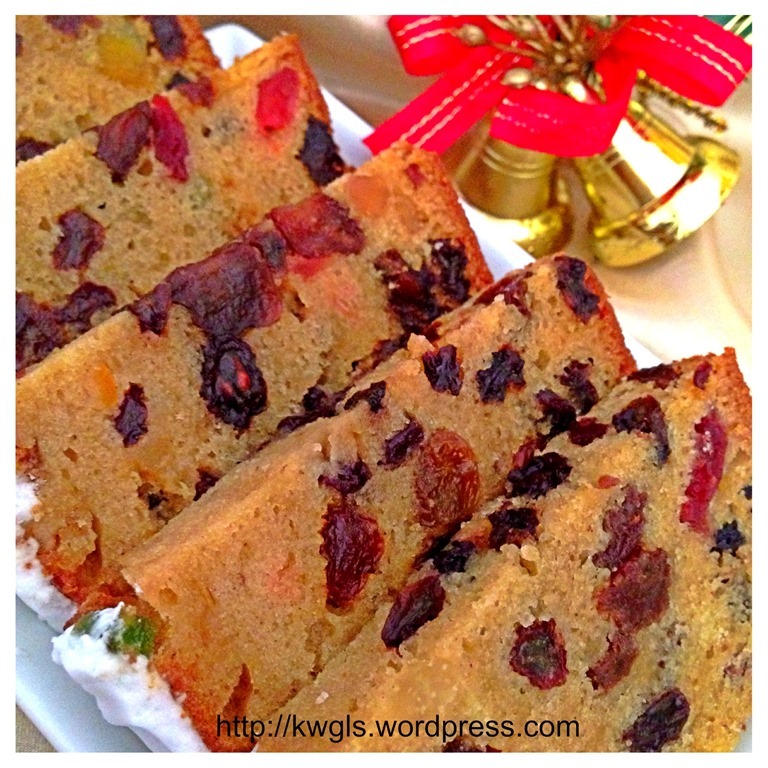 I’m one of those rare Americans who LOVES fruit cake so I’m going to pin this for later! Thanks for sharing on the DBB!